The Women’s National Book Association is home to a talented membership who do so much to promote literacy in our communities. We look forward to sharing our WNBA Members’ Noteworthy News each month. 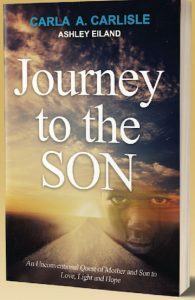 Carla Carlisle held a book signing of her memoir, Journey to the SON: An Unconventional Quest of Mother and Son to Love, Light and Hope, on Sunday, March 31, at Park Road Books in Charlotte, North Carolina. editors, motivational speakers, and more. Center for Literary Arts' 3rd Anniversary Birthday Party atthe Mint Museum Randolph in Charlotte, North Carolina. 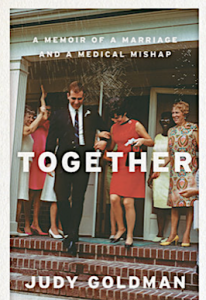 She also celebrated the release of her new memoir, Together: A Memoir of a Marriage and a Medical Mishap. 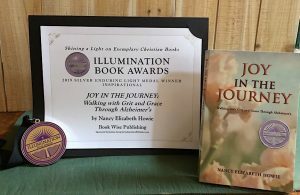 Nancy Howie's book, Joy in the Journey: Walking with Grit and Grace Through Alzheimers, was awarded the 2019 Enduring Light Silver Medal in the category of Inspirational Books. These medals are given to reward exemplary Christian-themed books published since 2000. Betsy Thorpe held a one day workshop: “How to Write a Query Letter and Find an Agent: Strategies That Will Help You Get a Response” on Saturday, March 2, at Charlotte Center for the Literary Arts. Rae Theodore has a story in Nonbinary: Memoirs of Gender and Identity published by Columbia University Press. 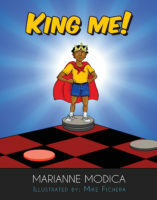 The anthology takes a look at what happens when gender doesn’t fit neatly into the categories of male or female. 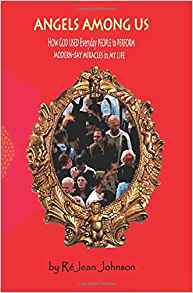 RéJean Johnson’s book, Angels Among Us (ReJean Books), published March 3, 2019. Joan Ramirez’s romance novel, Secret Desires published under the pseudonym “J. L. Regen,” has been nominated by Readers Choice for best contemporary romance of 2019. As her readership grow, she is keeping her fingers crossed that it will win! 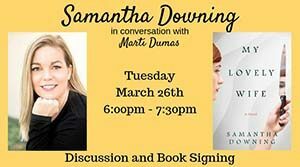 Samantha Downing’s debut novel My Lovely Wife was chosen as the Library Reads #1 pick for March 2019. 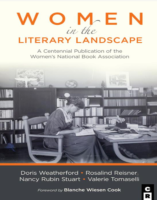 She participated in a discussion with chapter member Marti Dumas at Garden District Book Shop for its launch on March 26. 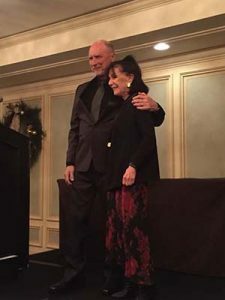 Patty Friedmann received the Faulkner Society ALIHOT (A Legend in His/Her Own Time) Medal presented by Robert Olen Butler. 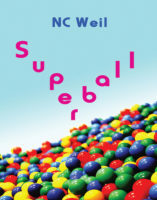 Tiana Nobile will be reading at the Lucky Bean Reading on March 18 at NOCCA with Jerika Marchan. Annemarie O’Brien recently did an author event in Sri Lanka through the cultural affairs department at the American Center of the US Embassy. Tamara Shiloh had her article, “Make It More Than ‘The Black History Seven’” published in the Richmond Pulse. 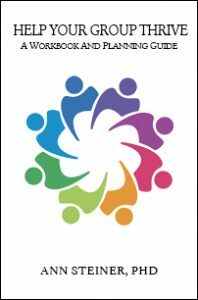 Ann Steiner signed a contract with Routledge Books for a revised, expanded version of her self-published manual for therapists: How to Create and Sustain Groups that Thrive: Therapist’s Workbook and Planning Guide. 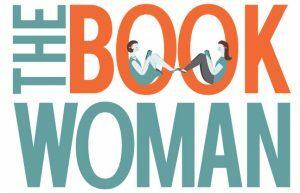 Her radio book tour for Help Your Group Thrive is continuing throughout the country — check out her website for recorded interviews and upcoming book talks! 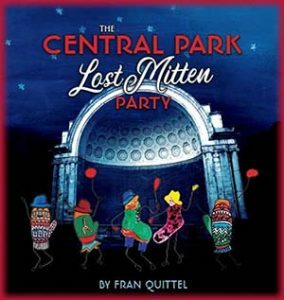 Fran Quittel’s, The Central Park Lost Mitten Party, was featured at Sun Gallery’s 30th annual Children’s Book Illustrator show in Hayward, CA. 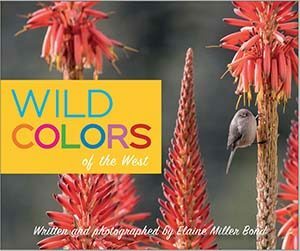 Written/photographed by Elaine Miller Bond, Wild Colors of the West (Fall 2019) is the third board book in a series published by Heyday Books. 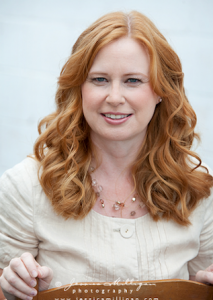 Member Gina Mulligan will be on a “Path to Publishing” panel at the 2019 Local Author Expo in Folsom, CA (near Sacramento) April 27, 11 am — 3 pm Folsom Public Library, 411 Stafford St, Folsom, CA. 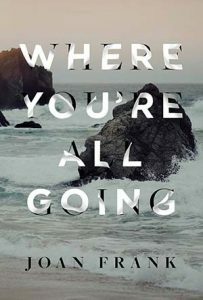 Joan Frank brings out two books in 2020: Where You’re All Going (Sarabande), and Try to Get Lost (University of New Mexico Press). 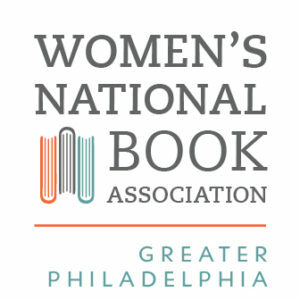 Sharon McElhone’s essay called “He Imitated a Stiff-Legged Frankenstein” has recently been accepted for publication in “Label Me Latina/o.” It will be included it in their Fall 2019 edition. Claire Rubin won the Carl Sennhenn 2018 Prize for Poetry. 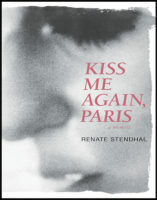 It will be published by Balkan Press. She is also a Finalist for the 2018 Lascaux Poetry Prize. 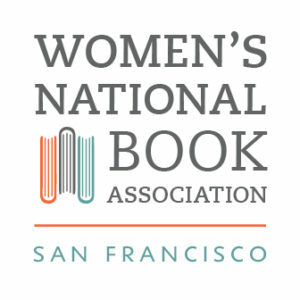 Joan Gelfand will read with Scarlett Tanager Press at AWP Portland on Friday, March 29th @6:30 pm in celebration of the publication Fire and Rain: Ecopoetry of California. Kudos to these members for their outstanding work!